Hubbell-Wiring Twist-Lock® Watertight Safety-Shroud® 3-Pole 4-Wire Polarized connector body accommodates wire of size 12-AWG. It has cord range of 0.35 - 1.15-Inch. Connector body in black/white color, has valox impact modified PBT construction. It withstands current rating of 20-Amps and voltage rating of 3-Phase 250-Volt AC. Connector body has brass contacts for optimal signal conductivity. It virtually eliminates bent and broken plug blades, resulting longer equipment life. It withstands 2000-Volts dielectric strength. Connector body measures 2.75-Inch Dia x 4.38-Inch. It increases the life of mating receptacles by avoiding the damage caused by insertion of bent blades. It offers clear funnel shaped wire entry for ease of termination. 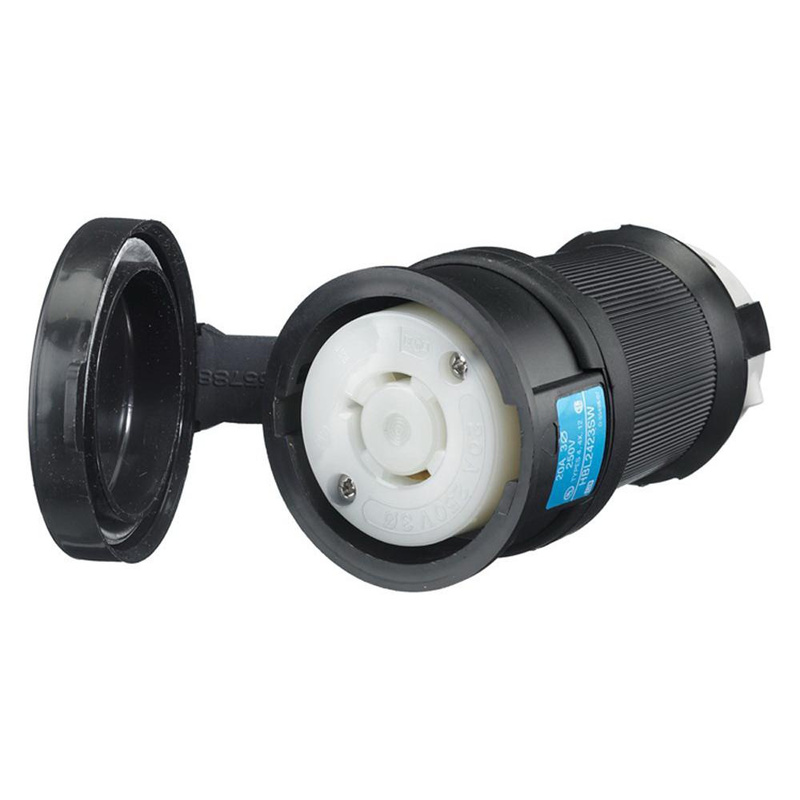 It withstands temperature rating of -40 to 75 deg C. This connector body has NEMA L15-20R configuration and IP66-degree of protection. It has VO flammability rating per UL94 or CSA 22.2 No. 0.6 to withstand harsh environmental conditions. Connector body is UL listed, CSA certified and meets Federal specifications.